28 Sep What Size Yard Do You Need for Your Pool? When homeowners dream of building swimming pools, few, if any, imagine a small, compact pool that’s just spacious enough to wade in. A swimming pool should be expansive, like your own private pond, extending out into the expanse of grass and the views beyond your fence. But as much as homeowners wish they could have a big, Olympic-size lap pool or a vast and playful, irregular pool, you have to have the space to work in your design. Trying to shove a large pool design into a small backyard would be as consequential and as awkward as trying to put a giant sofa into a hallway. You don’t want to crowd the entire property, eliminate room for grass and other landscaping, or create a dangerous pool with too narrow a deck. So, how big should a yard be to accommodate a swimming pool? Does your backyard qualify? Ask a custom pool builder in Vero Beach, FL, and they’ll tell that you that several factors must be met for a pool to suit your yard. These are the factors and considerations to make. Most pool contractors recommend that you leave room in your yard for grass and trees. A yard without natural greenery will lose value, and you’ll miss valuable space for kids and pets to play. It’s also important to leave ample deck area for outdoor furniture, like a dining table or sofa. These accessories are almost as important as a swimming pool when it comes to outdoor entertaining and relaxation. Natural landscaping also helps cool the air, filter noise, and soften the appearance of your backyard. 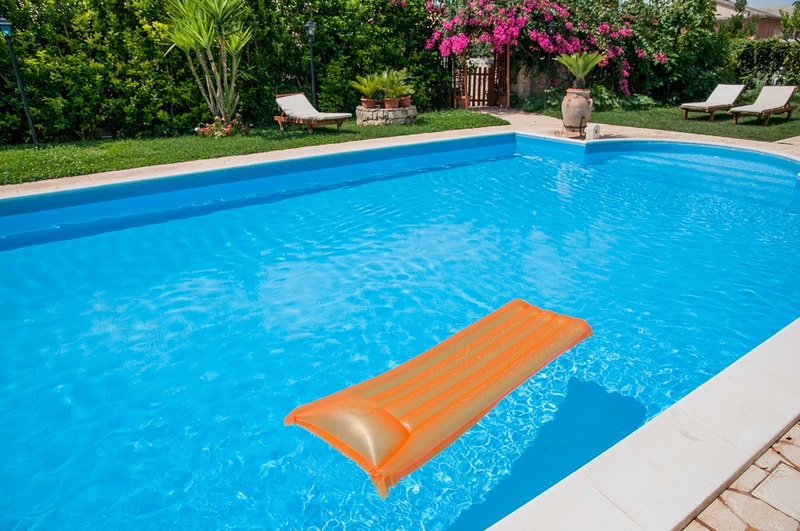 And while your swimming pool is a great feature, it’s not usable every month of the year, so crowding your entire yard to accommodate a swimming pool renders your yard useless in the winter. For a small yard of about 150 square meters, build a small pool that’s from 20 to 28 square meters. Your swimming pool should only take up about a quarter of your backyard, at most. By contrast, a pool that’s smaller than a quarter of the total back yard’s size may look awkwardly small, unless you use large and lush landscaping to break the expanse and make the pool area look more proportional. If you have kids, be certain that you follow these rules. Your kids would love a pool but would hate losing the opportunity to do other activities in the safety of the backyard. Also, if you have kids, you should make room to fence in the pool, so they cannot access it without your supervision. For more professional advice from swimming pool builders, or to start designing the perfect pool for your backyard, contact a custom pool builder in Vero Beach, FL. Custom builders can craft a unique pool that’s perfect for your backyard’s size and dimensions.